It is in its original unused condition, unless there is a manufacturer defect. You must return the item within 7 days of your purchase. 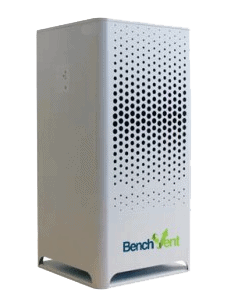 Please email info@benchvent.com to request a refund and we will assign you a tracking #. Units that have been used or altered will not be accepted for return or exchange. We request that you check that all necessary information regarding the unit you are ordering so that you are getting the unit that’s fit for your purpose. If you ordered an item that isn’t fit for what you need, we may exchange, at our discretion. We may also wave the restocking fee, but you still will have to pay the return shipping costs, as well as the shipping cost of the new unit.